The Magic Words of Flossing – Love. Life. Practice. I’ve found that there seem to be two kinds of people: those who answer that question with an incredulous look and “Of course! Who doesn’t?” and those who get a kind of wistful/guilty look on their face and say “Well…sometimes…” unwilling to admit they’ve had the same box of floss in their medicine cabinet for the last four years. I have fallen into the latter camp for the vast majority of my life. For whatever reason, flossing wasn’t a habit really enforced by my parents, and there was always a terrified feeling that I was going to slice into my gums somehow. So I avoided flossing. That, of course, led to the predictable results, and suffice it to say that my dental health is not the best. But this isn’t that story. There are all kinds of techniques for establishing all kinds of habits, including flossing. 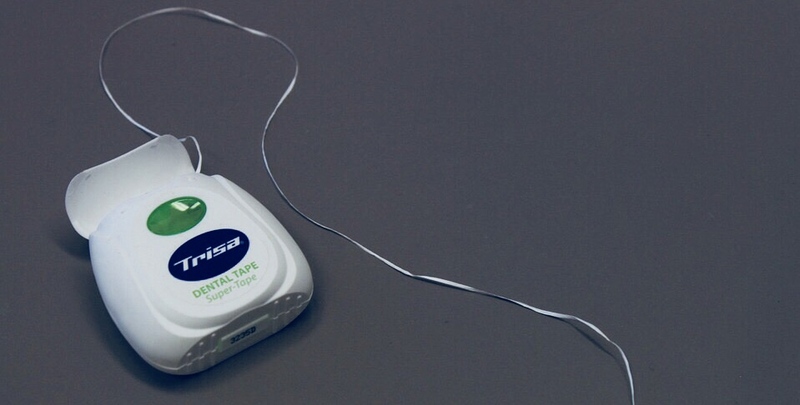 One of my favorites was ZenHabits technique of flossing one tooth – just one – for a week. Then doing two. Then adding them, incrementally, so what seemed like a bother just became a matter of rote. In case you’re wondering, yes, I tried it, and yes, I flossed for a while, and then I fell out of the habit. I changed my morning routine multiple times, I established habits and then let them go and flossing just kind of fell by the wayside. I realize now why that was. My lack of flossing wasn’t because I felt didn’t have time. Nope, it was much deeper and darker than that. Yeah, but I’m going to just brush my teeth. I don’t feel like flossing. You KNOW that flossing is good for you. Yeah, yeah, but so is brushing my teeth, and I’m going to do that. I’ll floss some other time. The roots of where that feeling of apathy came from…well, again, this is not that story. There’s a lot of personal and practical work that has to go into unpacking that particular realization. No, this is the story of the last month or so, when I have flossed almost every day. In fact, one of the few days I didn’t was because I ran out of the thin string. It has not been difficult; it has not required electrical zappers or post-its all over the bathroom mirror. Nor can I say that this magical technique is due to years of research and development and testing. Nope, I basically came across this by accident, and much to my surprise (and the delight of my gums) it just works for me. Yeah, but I’m worth it. Suddenly I felt like I was somehow deserving of flossing. Of doing what I can to take care of this meat sack I’ve been given. I know, it seems like a simple and little thing. But I flossed that night. And the next night, when I saw the floss box, I said it again: I’m worth it. And it was no problem to take the time and the care of my teeth. Every night it works. I hate to call it an “affirmation”, because those tend to ring hollow, and don’t tend to be connected to an individual action. But because this one is, it reinforces itself: I am worth it, and then I prove it by taking an action that shows that it’s true. Maybe you already floss regularly – I hope so. I wonder, though, if this particular mantra – or battle cry – might work for others? If there might be something out there that is good for you, but that you don’t let into your life for whatever reason. Maybe changing the motivation from “Eh, it’s just not worth the effort” to “Yes, I am worth this particular effort” will help change that idea? Or hey, maybe it’s just me. Give it a try anyway. For science!